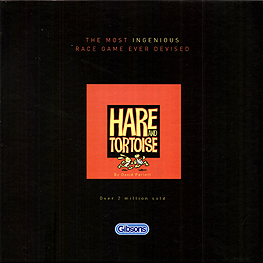 As the first winner of the Spiel des Jahres award (Game of the Year) in 1979, Hare and Tortoise is regarded as a classic game. It is a cunningly designed race game where your fuel is carrots, and must practically run out when you reach the finish line. You also have three lettuce cards you must spend during the course of the race. The farther you move, the more carrots you spend, and there are a variety of ways to gain or lose carrots as you go around the track.